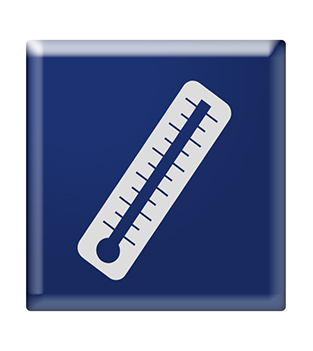 Thermometer is a study conducted to measure a company’s internal climate. Carrying out a regular climate study is also a good way of evaluating the effects of various improvement and training initiatives. A good working climate is essential for success, from the point of view of both profitability and health. A climate study provides a picture of both what works well and what may need to be developed within the company or department/organisation. Ensize’s climate study is based on Professor Göran Ekvall’s research on "the inner life of organisations”. He has identified a number of factors that form the basis for a working climate in which employees enjoy working, think freely, take responsibility and carry development forward. In addition to the dimensions covered in the standard study, questions can be tailored according to specific areas if so desired. A good work climate and satisfied customers are essential for success as regards both profitability and health. Thermometer is a study used to measure the internal climate of a company and the external climate at customers. Carrying out a regular climate study is also a good way of evaluating the impact of various improvement and training initiatives.